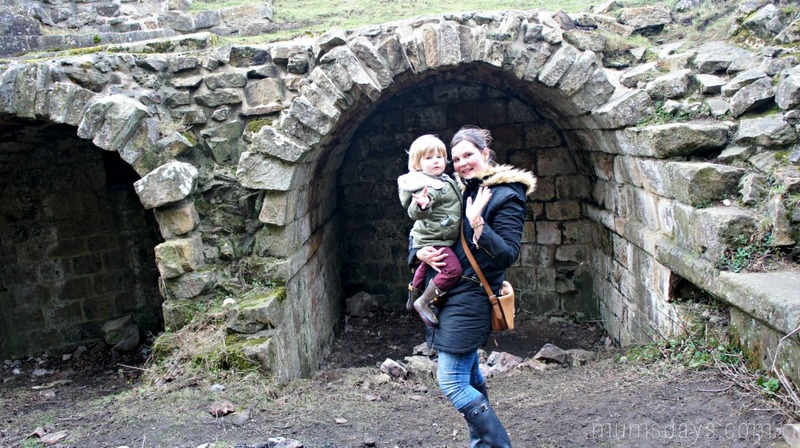 According to the English Heritage ‘Heritage Counts Report‘, visiting historical sites makes you happy. 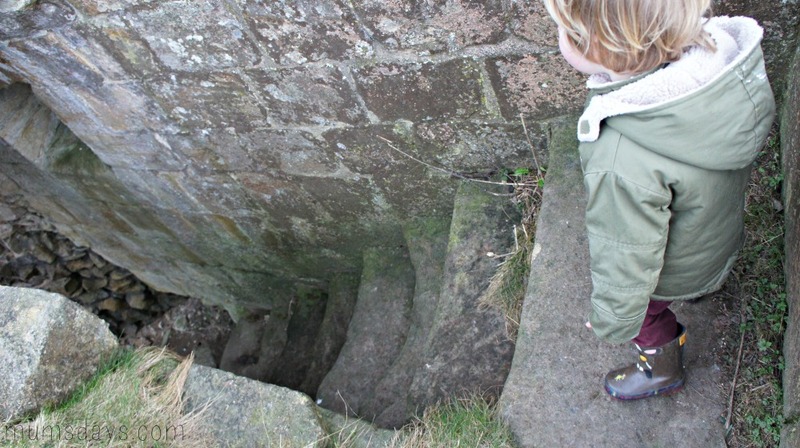 Armed with this knowledge, Reuben and I went on the first of our Northumberland Castles Challenge visits on Friday to Mitford Castle – it was somewhat damp, but not enough to dampen our spirits! I can confirm that I found it pretty darn awesome and I definitely came home happier. 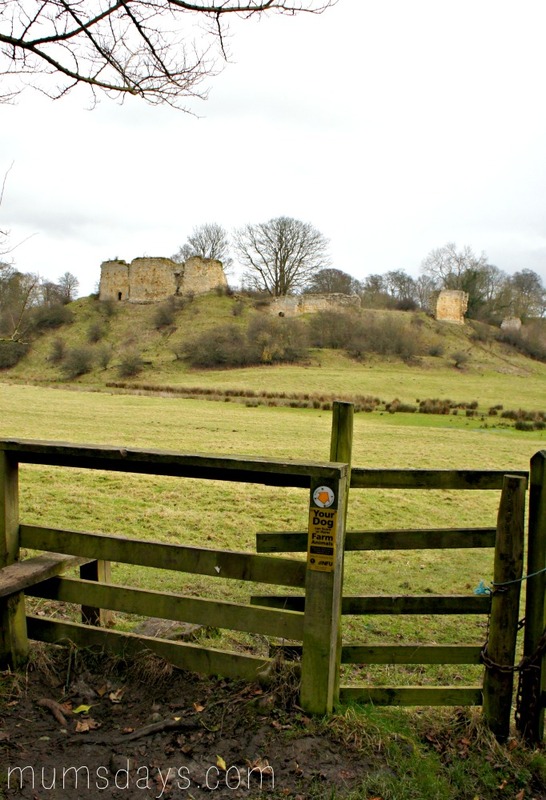 Mitford Castle is a ruin in a little village, called Mitford, close to Morpeth. Now, everything about this challenge is turning out to be a bit of a learning curve. Not only do I know very little about History, aside from the fact that the Scottish and the English had a bit of a to do at some point*, I hadn’t realised ‘close to home’ was still over a 30 minute drive (Northumberland isn’t the largest county in the Country for nothing, you know)! At 1pm loaded with a freshly brewed coffee and cream, a change of clothes, wellies, coats, snacks and water, and my camera, we set off into the unknown as I had chosen the ‘scenic route’. We took an accidental detour via a bunch of places I’d never heard of, which very quickly became really rather rural. Thank goodness my phone still had reception! 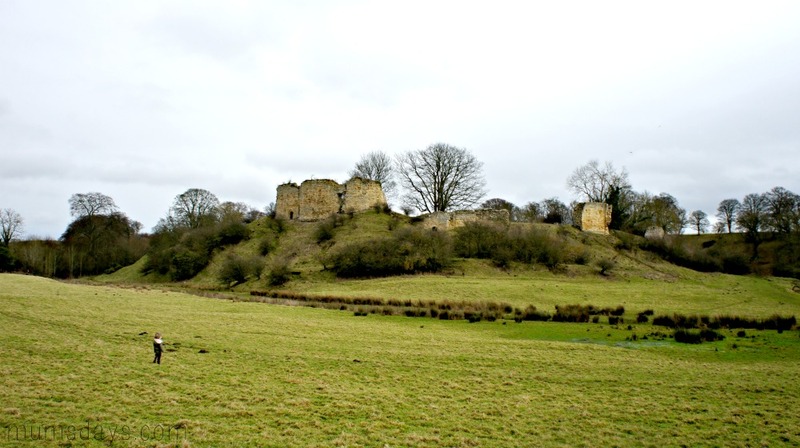 By the time we were reaching Mitford Castle, we were on a single-track road with passing places. Very Postman Pat, I thought, just as Royal Mail truck came hurtling around the corner scaring me half to death. Pat would never have driven like that. And there it was. 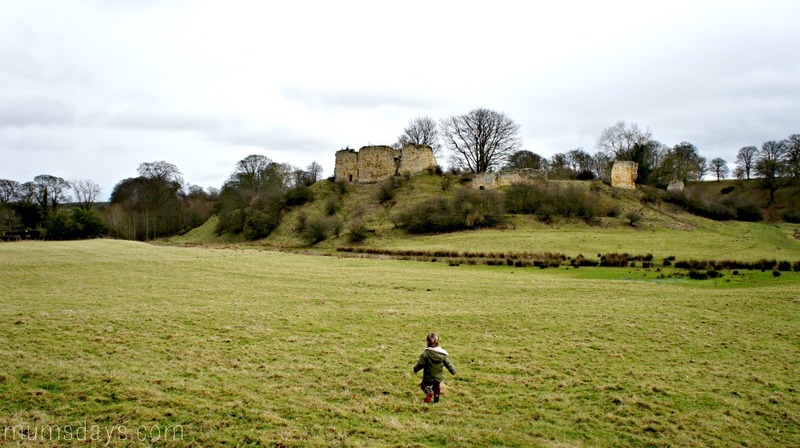 Mitford Castle in all it’s fallen down glory, at the top of a mound, in the middle of a large field; just there for all to see, thankfully on a public footpath so we could take a wander up and explore. 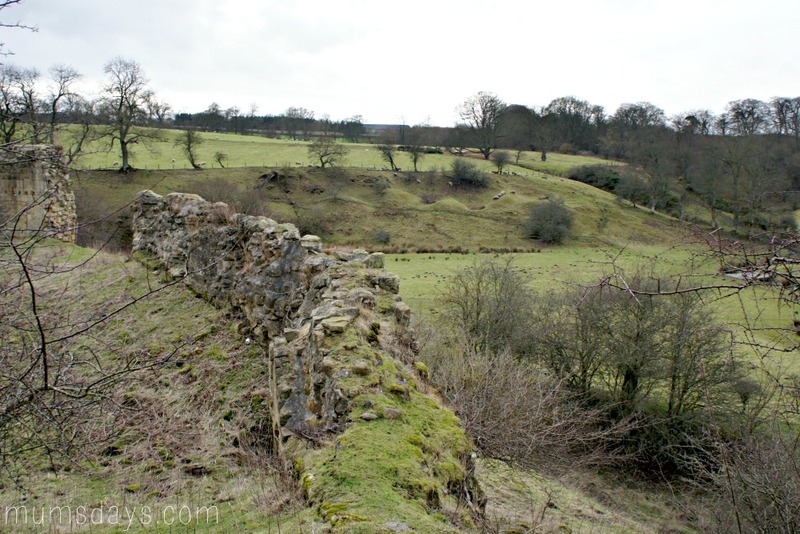 Mitford Castle had a tumultuous past, as you might expect of a ruin. 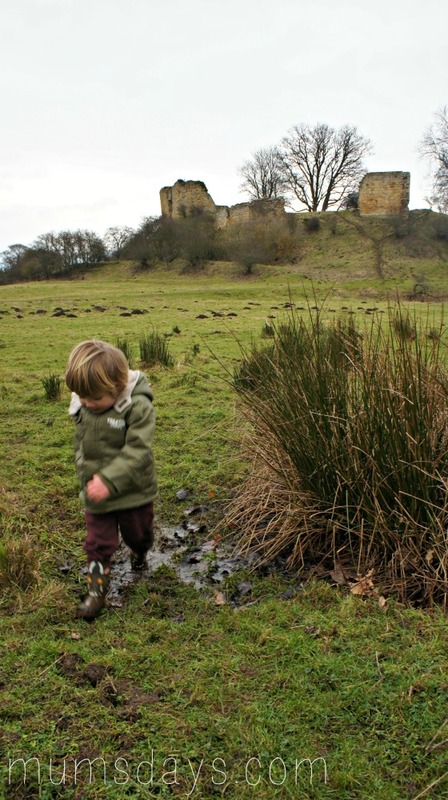 Built in the 11th Century around 1000 years ago, it actually had quite a short life-time as a castle. During it’s 300 years standing it passed from English man to Norman to Scottish chap back to Norman, then seized by King Henry III who gave it to his half brother. 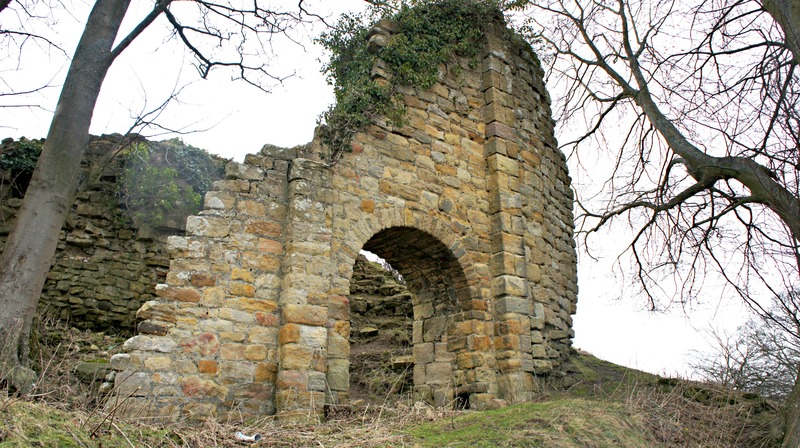 In 1300s there was a Northumbrian rebellion and a fella named Sir Gilbert de Middleton took control and used it as a base for kidnapping and prisoner hold. Yeesh! Middleton goes on to be tried for treason and is imprisioned in the Tower of London. Apparently the destruction of the castle isn’t actually known for sure. One suggestion is it was burnt down during Middleton’s rebellion. The other is that the Scottish destroyed it whilst Middleton was in prison. Either way, it was definitely destroyed by the time of an inquest in 1323. Thank you Wikipedia! 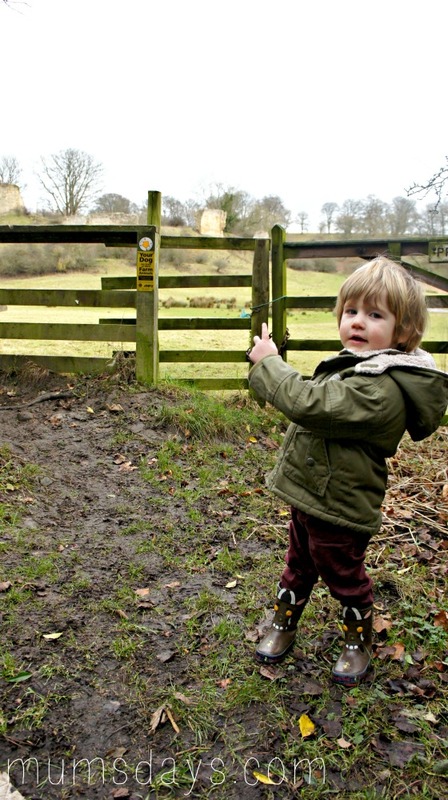 Once we had negotiated the stile, Reuben made a beeline for the castle, opting for the ‘line-of-sight’ route. I wouldn’t recommend it! The sides are steeper than they look and there are a lot of prickly bushes to haggle with. Oh, and a river, which I slid into trying to launch Reuben to the other side! Thankfully I had my wellies on. Once I had stopped Reuben diving straight into a prickly bush and got us back on the safe (ish – it was still somewhat steep!) root up to the castle, the view was glorious even if I did have to watch Reuben like a hawk…behind every wall and/or corner was pretty much a sheer drop! 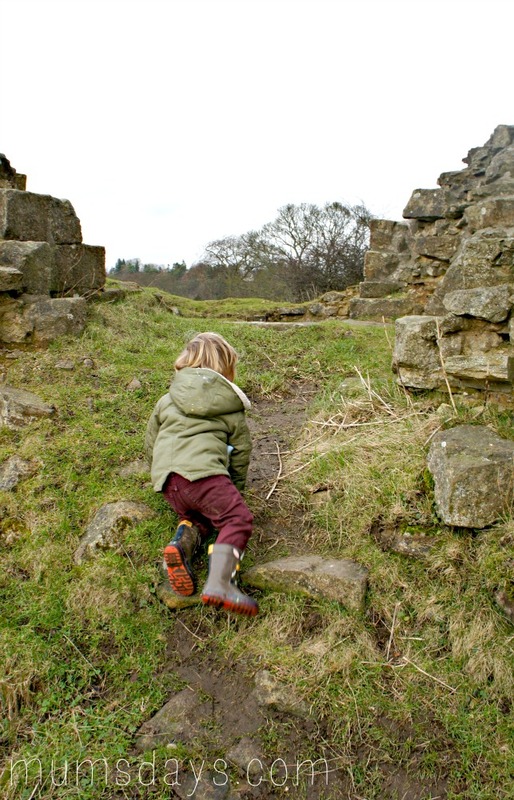 That said, it was lovely watching Reuben really enjoying climbing, running down hills and generally exploring – for anyone who’s read my tips on walking with a toddler, you’ll know that Reuben is ordinarily a bit of a reluctant walker! Not today, he didn’t want me anywhere near him. Typical! The site is clearly party-central during the warmer months, with evidence of fires and broken glass a-plenty but we managed to skilfully avoid any of the dangers and have a good old poke around. There’s a large central section, with a fallen tree (great for climbing! ), which put me a bit more at ease and I recon it would be fab for a spring/summer picnic. And with some fantastic features, I’d also like to head back for a family portrait or two when the sun is shining! 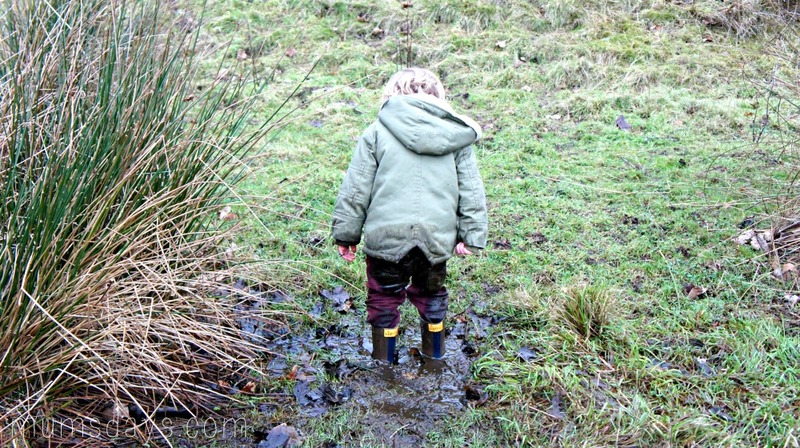 We probably explored for about an hour and a half in total, and then found the mecca for all toddlers on the way back to the car, a muddy puddle. Thank goodness I’d brought a change of clothes (of course I’ve not left the house without a change since 2012). 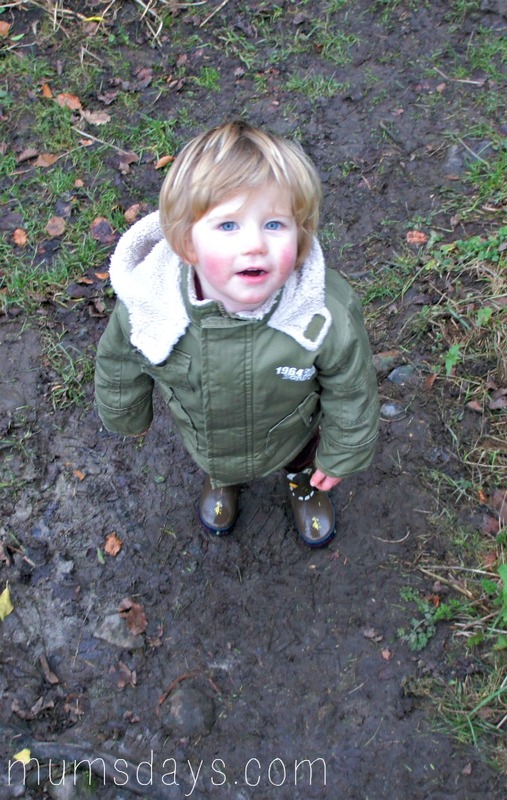 Now, I think you’ll agree, this is the face of a boy who’s had fun! 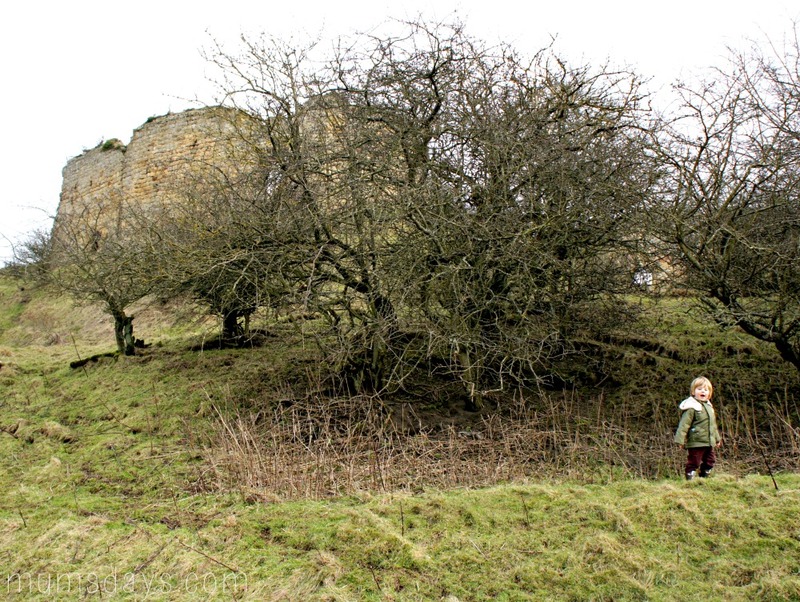 I think it’s pretty remarkable that there is so much of Mitford Castle left to see over 700 years after its destruction. 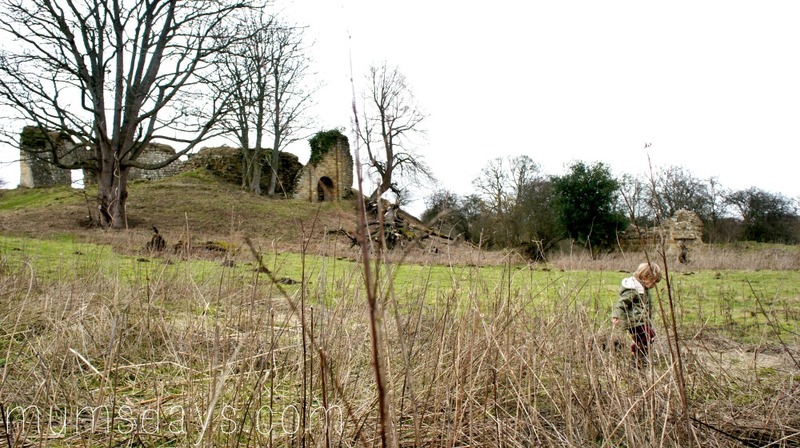 What I hadn’t realised until now is that Mitford Castle is actually on English Heritages’ “At Risk Register” and they have done some work towards repairs and restoration, but it really is so open to vandals and generally the elements, so hopefully more can be done to keep this site open and safe because I really loved it. 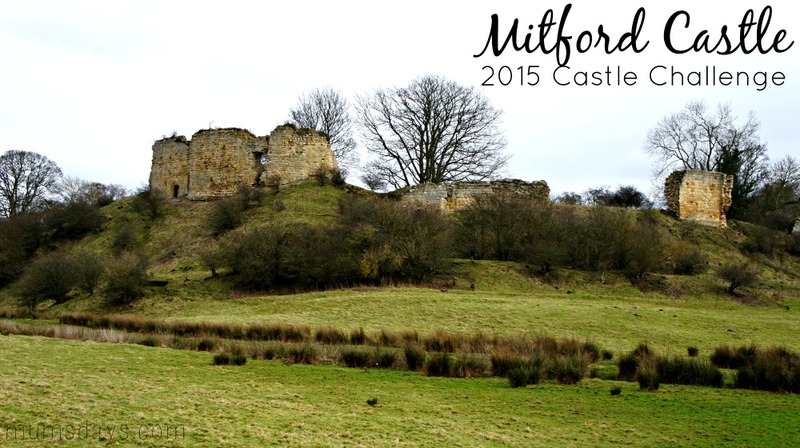 What do you think of Mitford Castle? Have we tempted you to go and visit?! 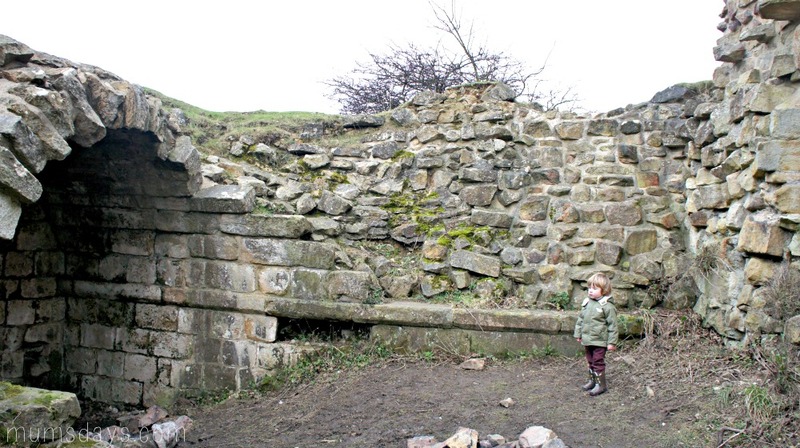 Next Friday (16th January) we are going to visit Widdrington Castle – this isn’t quite as exciting as Mitford Castle as it’s basically a mound. However, there is a farm shop and cafe to visit and I figured any kiddies would enjoy a bit of a run around on the ‘mound’ afterwards! You can email me hannah@mumsdays.com if you’d like some details. 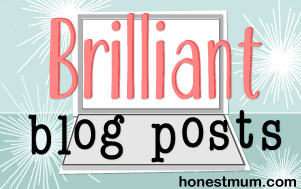 Linking up with lovely Michelle at Bod for Tea and her brand new Share the Joy Linky! Awe, love this so much! Can’t wait to see your adventures to all these awesome castles! Thanks for the information on this page. 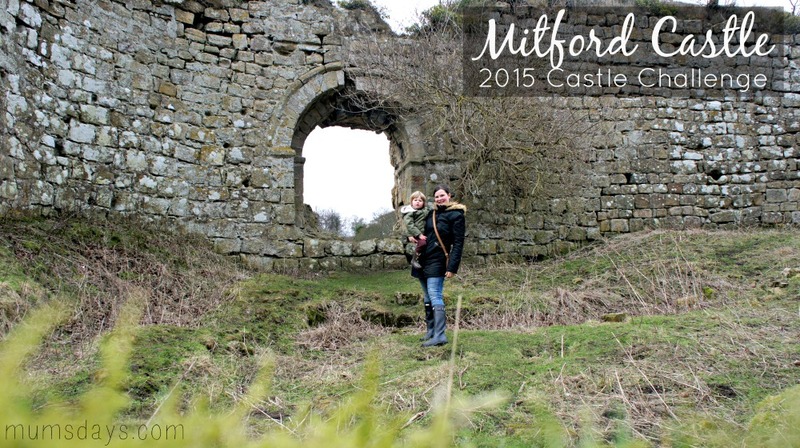 We visited Mitford Castle today. When we asked about it at Morpeth tourist information we were given a blank look. 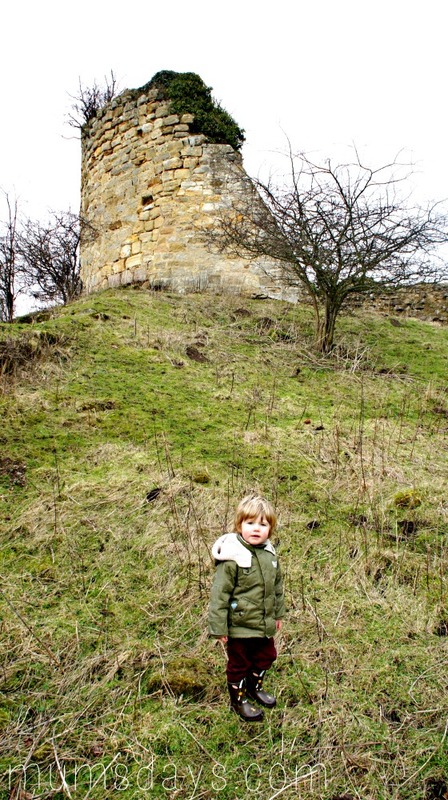 We found it though and had a great time 🙂 We walked along the river from Morpeth center (which was a good stretch of the legs for a 6 year old who very nearly napped on the way home – unheard of!!). Lovely day out. Nice site – passed by t’other day, but only had time to see from a distance.